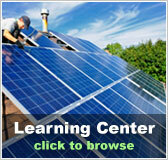 North Dakota residential solar energy incentives | Solar Panels | Solar Power | Site Map | Bookmark This Site! 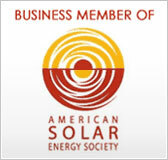 -This personal tax credit allows the taxpayer to claim an income tax credit of 3% every year for five years for expenditures including labor costs and installation of qualified residential solar-electric systems, solar water heating systems or biomass. Small wind-energy systems and geothermal heat pumps can also be accredited for. -The excess amount of the federal tax credit may be carried forward to the next five taxable years if it exceeds tax liability. -Systems must be new and meet all safely and performance requirements to qualify for this tax credit. 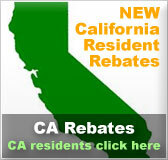 -All geothermal, solar or wind energy device is 100% exempt from local property taxes. -If these devices are part of a conventional energy system only the total amount of the renewable energy portion is eligible. 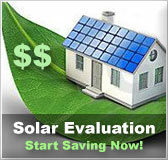 -This exemption may be claimed for up to five years from the installation date. -Net metering is available to residents in North Dakota who have renewable energy systems or combined heat and power systems and are customers of an investor owner electric utility. -If the customer has any net excess generation at the end of the month the utility will purchase the net excess generation from the customer at the avoided cost rate.